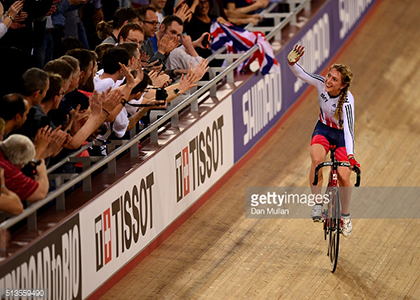 Home > All sports > cycling > Editors blog: Why the Getty Images and Women’s Sport Trust partnership is so important to me. 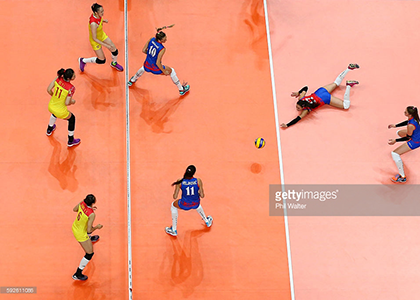 Editors blog: Why the Getty Images and Women’s Sport Trust partnership is so important to me. 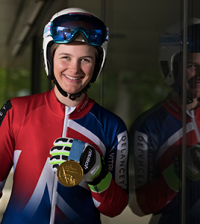 When the Women’s Sport Trust launched it’s partnership with Getty Images during women’s sports week, it got me reflecting on my own past and the role models I remember from when I was growing up. I am involved with the project and feel very passionately about it, but I needed to work out why something as simple as making images of sportswomen widely available was so important to me. I was a child who was naturally good at both sport and art. Those were my things. Culturally it was a slightly odd mix and for the most part my two loves never mixed, especially during my teenage years. 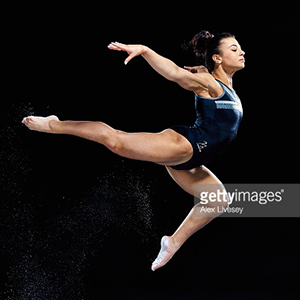 As a young girl growing up in the 1970’s I was inspired by the gymnasts, Olga Corbett and Nadia Comaneci. I joined my local gymnastics club and practiced hard. My parents even sought out an alternative to the basic black kit for me – I had an emerald green leotard with blue panels, and loved it! I always favoured Nadia. I liked the quietly determined, private and un-showy image she portrayed. Nadia didn’t pander to the camera, she just nailed it with her performance. At least that’s what I saw and that’s what I wanted to emulate. And that’s the crucial bit – I saw this because Olga and Nadia were very visible at that time. As I moved into my teenage years, away from gymnastics and into canoeing, my sporting role models all but disappeared – I only really saw sportswomen on TV during the Olympic years and they were never canoeists. Magazines and newspapers occasionally featured celebrity sportswomen like Sharon Davies, but their glamorous image did not inspire me to be a successful athlete, in fact I couldn’t relate to them at all. I started canoeing because my brother was into it. We took him to races and I clearly remember standing on the riverbank and seeing a young girl paddle past. I remember thinking that I could do that, in fact, I think I thought I could go faster than her. It’s hard to explain, but it was not a competitive thought, in that I wanted to beat her and win, more that seeing her made me realise I could get in a canoe and make it go fast. Again, crucially, it was the fact that I actually saw a teenage girl canoeing that made me want to give it a go. As I moved up the canoeing ranks and into the Junior team, I started taking an interest in the history of women’s sport and found inspiration in pioneers like 1920’s tennis star Suzanne Lenglen or Amy Johnson who was the first female pilot to fly from Britain to Australia. I consciously sought out something to belong to – some kind of community as we would call it now. But it didn’t exist, except perhaps in the academic world where I found the UK version of the Women’s Sports Foundation. I signed up, but the print newsletters that arrived were dull and uninspiring and to be fair, not really aimed at me. 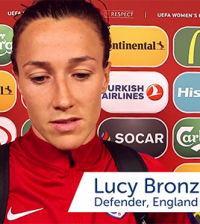 So, with very few sports women to emulate, who were my role models as a teenager? Well, like so many others, my main influences came from the music world – strong, independent women like Siouxsie Sioux of Siouxsie and the Banshees, Poly Styrene from X-Ray Spex and Annie Lennox. What’s interesting though is they didn’t inspire me to be music stars – they inspired me to be independent, brave and perhaps a little non-conformist, and I applied those qualities to what I wanted to be. Even now, as an adult, I am continually inspired by people and what they do. Whether they are moments of sporting triumph, artistic brilliance, or something entirely unrelated to my own life, they give me the energy to chase my own dreams. Inspiration is important whatever your age, but it is essential when you’re working out who you want to be. 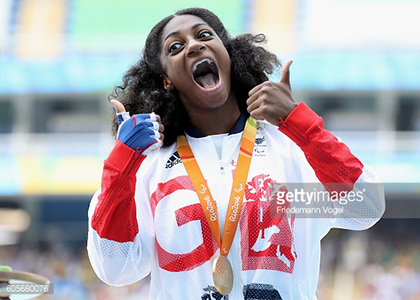 It may be a cliché, but if just a handful of young women are inspired to do more with their lives because they see sportswomen like gymnast, Claudia Fragapane or athlete/cyclist Kadeena Cox through this project, then we have done our job. 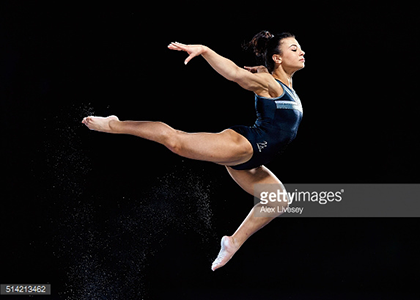 Focused on the realistic and aspirational representation of sportswomen and girls, the Womens Sport Trust and Getty Images partnership has launched a powerful ‘Best of Women’s Sports’ photography collection featuring the world’s top sportswomen in action. 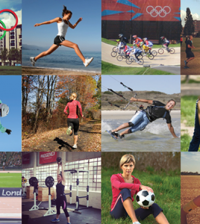 These images are available free of charge to schools, universities and not-for profit organisations to promote the powerful depiction of women and girls in sports to the broadest audience possible.